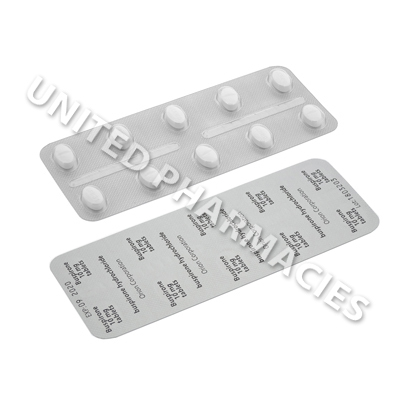 Buspirone (Buspirone Hydrochloride) is an anxiolytic (anti-anxiety) agent which treats generalised anxiety disorder by acting on the serotonin receptors. Buspirone (Buspirone Hydrochloride) is an anxiolytic (anti-anxiety) agent which treats generalised anxiety disorder by acting on the serotonin receptors. Panic and anxiety attacks may be mediated by neurotransmitters at different brain sites. Medical research showed that this medicine suppresses serotonergic action and also enhances certain dopaminergic activities. This is believed to normalise the transmission of signals in the brain and relieve anxiety. It has also been studied for its possible benefits in the treatment of alcohol withdrawal and detoxification. 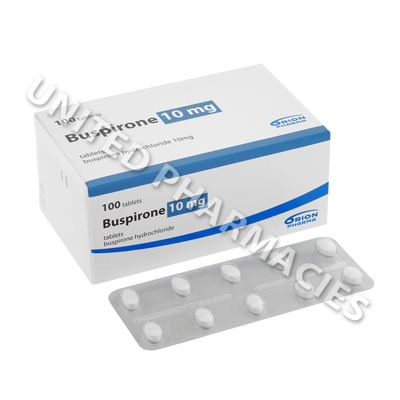 Buspirone (Buspirone Hydrochloride) comes in 10mg tablets for administration via the oral route. The dosage will be calculated by the doctor and adjusted in accordance with the patient's individual needs. Adults treating anxiety are sometimes directed to begin with 7.5mg twice per day (or as an alternative dosage regimen, 5mg 3 times daily). If the doctor deems it necessary, the dosage may be adjusted for maintenance treatment. However, do not make any changes to your dosage regimen unless following the instructions of your doctor. Ensure that you promptly notify your doctor of any reactions experienced, even if they are not serious. Certain side effects are severe in nature and will require medical care straight away. These include blurred eyesight, abnormal and uncontrollable body movements, coordination problems, fever, a weak feeling and other serious reactions that have not been listed here. Your doctor may tell you to avoid alcohol and grapefruit products during treatment. If you are currently suffering from or have been affected by kidney or liver conditions in the past, notify your doctor before beginning treatment. Always use Buspirone (Buspirone Hydrochloride) as you have been prescribed by your doctor. Never self-medicate or change your dosage without first consulting your doctor. The correct dosage can vary depending on your health, medical history, and the severity of the condition being treated.